Purchased a bunch of music from iTunes Store and fond out you can only play it in your Apple devices? Do not despair! We have the right solution offering to convert your purchased music in M4a or AAC formats into MP3 for absolutely free. Free Yourself from iTunes Slavery! Music and audiobooks you purchase from iTunes Store Plus are encoded with AAC as 256-bit DRM-free files. While this is a great format offering excellent audio quality, it’s not supported by many manufacturers of portable audio players. With M4a and AAC files, you would be pretty much limited to listening to your music on Apple devices and the PC. Free M4a to MP3 Converter will free you from the iTunes slavery by converting your MP4 audio files into the commonly accepted MP3 format. 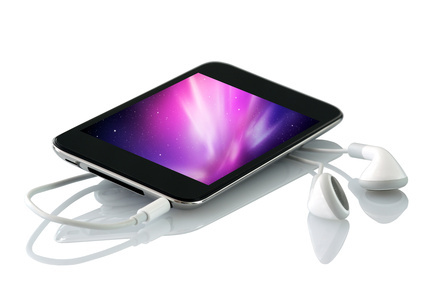 Unlike MP4 audio or the 256-bit DRM-free AAC files employed by Apple products, standard MP3 files can be played everywhere. With Free M4a to MP3 Converter, you can easily transfer purchased music out of your iTunes library. Just launch Free M4a to MP3 Converter, select your iTunes songs, choose your desired audio format and select the location for new files. Free M4a to MP3 Converter will take care of the rest automatically. Free M4a to MP3 Converter works for audiobooks just as great as it works for music. The latest release greatly improves audiobook conversion speed, offering blazing-fast MP3 conversion from Apple’s proprietary audiobook formats. Converting ALAC encoded files to AAC or MP3 will produce a slightly lower audio quality (these formats are called ‘lossy’ for a reason), but file size is going to be 5 to 10 times smaller than a comparable ALAC file. And, as the source audio in the ALAC format is lossless, you will lose very little audio quality as you’ll only need to encode it once. In fact, if you choose high enough bitrate for your MP3 files, you won’t hear any quality loss whatsoever. The trick here is selecting the right settings. While, technically, you almost always lose quality when converting from lossless formats into something like AAC or MP3, the question is whether the loss is actually audible. With ALAC to MP3 or ALAC to AAC conversion, the loss is so small you won’t really care about it.